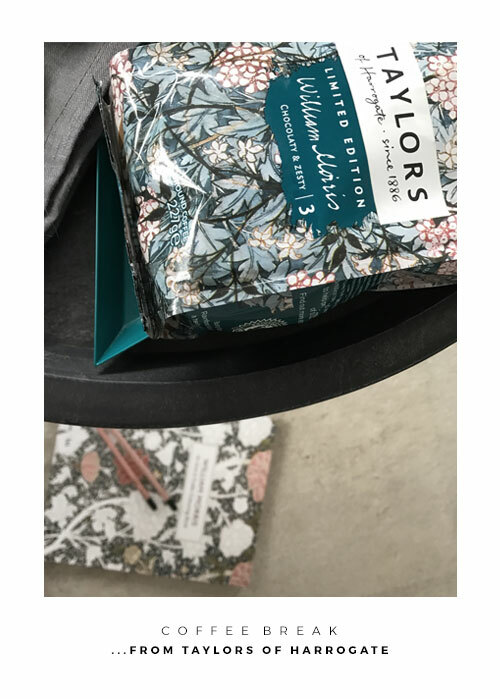 Writing blog posts is not only one of my favourite things to do, it's also a must-have therapy which keeps me rooted to, well, me...and my own creativity. With the in-frequent posting of late, it's simple to see why I've been feeling a little anxious and disconnected - distracted by work projects and the bump & grind of daily life. It's so easy to allow ourselves to be pulled in a dozen different directions at once, right? 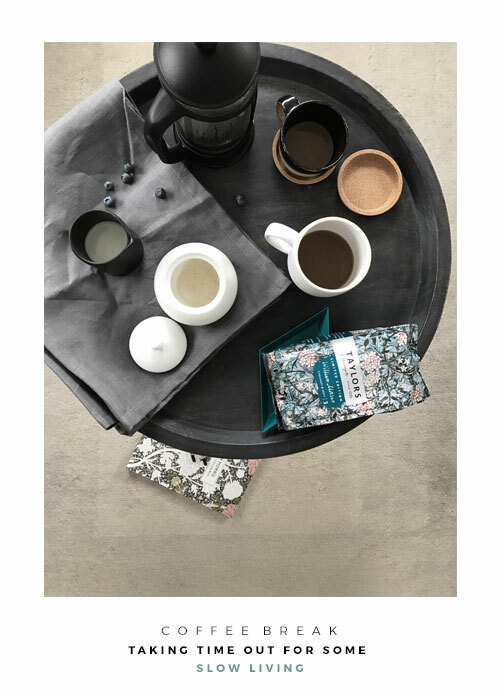 Sometimes it takes just one little 'thing' to break the cycle of work and in this instance it was a deliberately long coffee break at home (still a building site in progress, by the way). 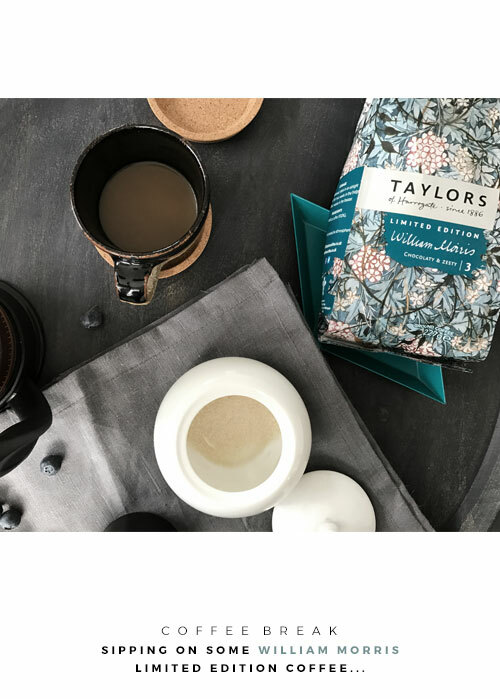 With my Cafetiere to the ready, I decided to sample a limited edition coffee - an exciting collaboration between Taylors of Harrogate and the William Morris Society. The resulting warm & comforting coffee was a beautifully blended mix of lemon, caramel and chocolate - perfect for that little pick-me-up I was searching for! 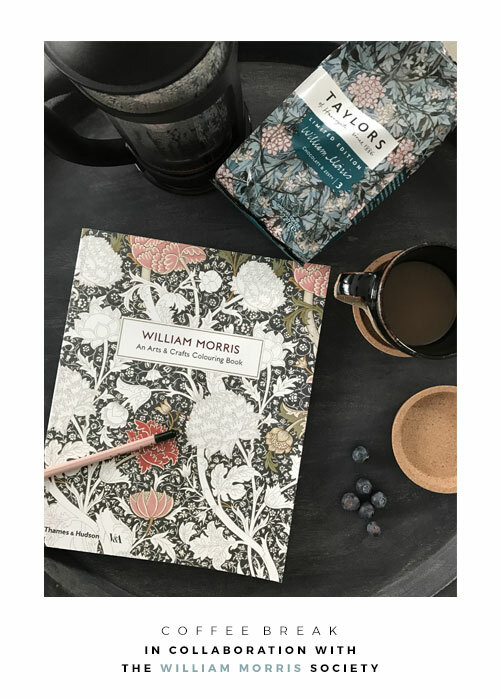 My little 'pit-stop' was in fact so enticing that I decided to allow myself some extra time out to indulge in a William Morris arts & crafts colouring book.